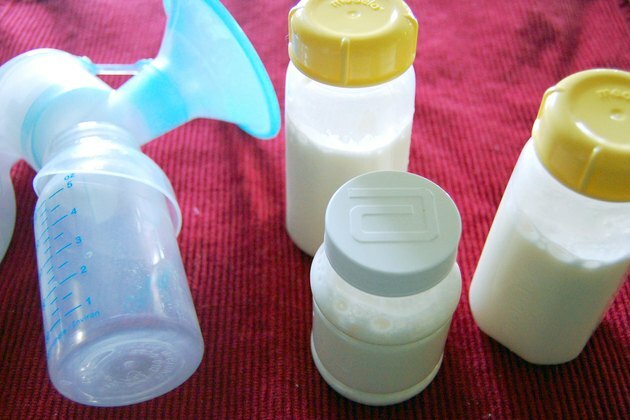 Preparing breast milk ahead of time by bottling it is an easy way to feed your baby when breast feeding is not convenient. Cold breast milk, however, is sometimes less preferable and tolerable to babies. Quickly warming up breast milk is possible, even when you are on the go. Understanding how to properly warm up breast milk is essential to keep your baby safe. Turn on a sink tap in a public bathroom or kitchen area so that the water runs warm but not hot. Wash your hands thoroughly with soap and warm water. Put a cap over the bottle to seal it. 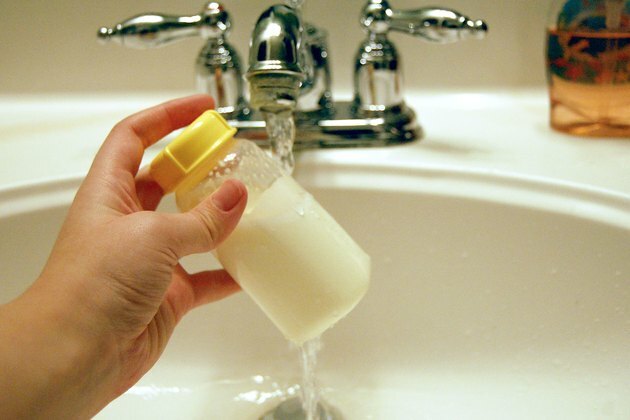 Hold the bottle under the warm water for a few minutes until the breast milk is slightly heated. 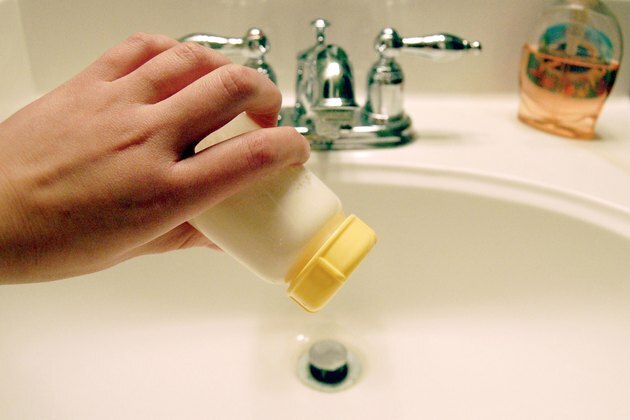 Shake the bottle gently to mix the milk, fat and cream components of the breast milk back together. 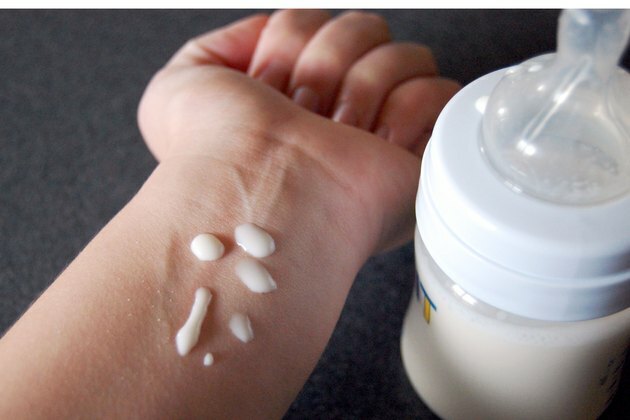 Squirt a tiny amount of the milk onto the inside of your wrist to test the temperature. It is ready when the milk feels warm, but not hot. Although warm breast milk is typically preferable, the Cleveland Clinic website notes that feeding your baby room temperature or slightly cooled breast milk is perfectly safe. Safely store breast milk at room temperature for up to six hours. FamilyDoctor.org warns that you must never warm breast milk in or under hot water -- not even if you are in a hurry and on the go. High temperatures decrease the amount of nutrients and proteins in breast milk, and may cause burns. Never warm your baby's bottle in a microwave. It heats unevenly and can cause burns. Does Baby Formula Need to be Warmed Up? Can You Feed a Baby Cold Breast Milk?